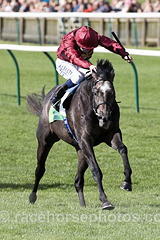 Roaring Lion enjoyed his fourth successive top level win since his third in the Investec Derby when coming from an impossible looking position to collar I Can Fly, but conditions were far from ideal and it was a close run thing as Oisin Murphy came late on the outside to triumph by a neck. Ridden by Donnacha O'Brien for his father Aidan, I Can Fly ran on strongly in the closing stages but could not peg back the favourite. Long recognised as Europe’s mile championship, 1,600 metre races come no bigger than this anywhere on the international stage. With a cool million pounds in prize money, the race has entered a different stratosphere in financial terms, boosted from £250,000 in 2010 when it was run at Ascot’s late September meeting. It is now by far the richest mile race in Europe and one of the most valuable in the world. 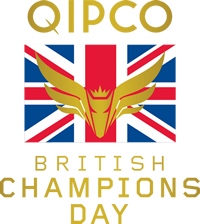 Named in honour of The Queen in 1955, the race has a roll of honour packed full of stars, including Brigadier Gerard (1971 & 72), Known Fact (1980), Dubai Millennium (1999) and the awesome Frankel, who took the race in 2011 in effortless fashion to maintain his unbeaten career record.